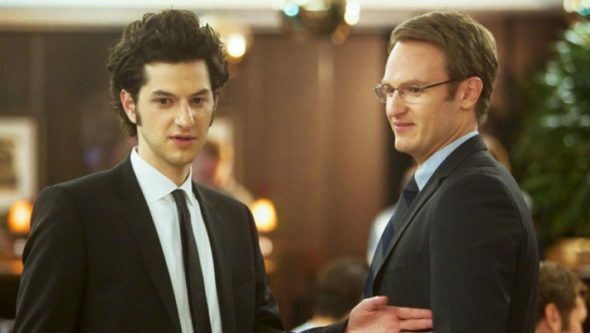 The fifth and final season of House of Lies ended last night, and star Ben Schwartz recently spoke with Zap2It about the Showtime series finale. The comedy starred Schwartz, Kristen Bell, Don Cheadle, and Josh Lawson as high-powered management consultants. The fifth season marked history as the first scripted American series to film in Cuba. What do you think? Are you a fan of House of Lies? Did you find the series finale satisfying? More about: House of Lies, House of Lies: canceled or renewed?, Showtime TV shows: canceled or renewed? House of Lies: Is the Showtime Comedy Worth Watching? “House of Lies” made history as the first U.S. scripted series to film in Cuba since the U.S. and Cuba restored diplomatic relations last year, only to end up getting cancelled so that those scenes in Cuba took place in its VERY LAST EPISODE. I find it sad that the cancellation of “HoL” has hindered such a historic occasion. I think there needs to be more U.S. scripted series and movies that shoot at least one of their scenes in Cuba, especially with the “Cuban Thaw” still ongoing. I think the show could have gotten meatier but it seemed that there was a lack of attention to it ever having sustaining power.